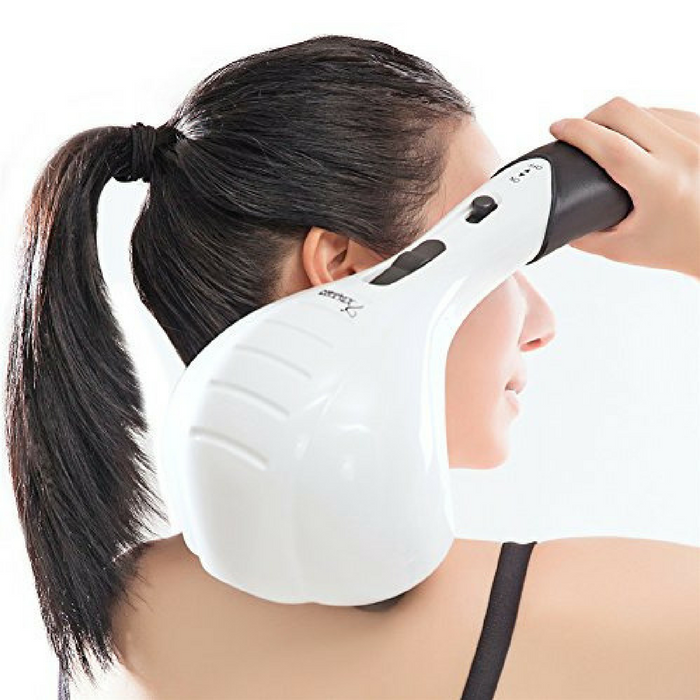 Double Head Electric Full Body Massager Just $23.75! Down From $99! You are here: Home / Great Deals / Amazon Deals / Double Head Electric Full Body Massager Just $23.75! Down From $99! Let your stress melt away with this Double Head Electric Full Body Massager which is on sale at Amazon for just $23.75 down from $99 PLUS FREE shipping with Amazon Prime or for orders over $25! VIKTOR JURGEN affordable percussion massager – get professional grade massaging at-home. Absolutely no need to spend your hard earned money on spa massage services and those costly massage systems. This handheld percussion massager allows you to perform the process yourself, just by turning it on! Sit back, relax and enjoy a powerful massage that will leave you feeling refreshed, rejuvenated and alleviated sore muscles! Double Head Electric Massager – Dog head design,come with 3 sets of removable free massage heads for a variety of massaging options.Great for use on areas such as neck, back, legs and foot. Professional Strength Massager – a powerful motor that runs up to 3,350 pulses per minute Customizable speed settings,Manage the intensity and power of the massager through multiple personalized speed features that allow you to adjust the motion and strength as desires. Therapeutic and Fatigue Relief – The percussion massage pillow is your move personal masseuse,Relieves built-up muscle tension and pain while enhancing blood circulation. Built for deep tissue body massage. Gift – Portable and high quality,it can be a good gift to your friends,parents,family,elder for their health life.